EVEN THOUGH GILLETT JOHNSON AND HIS WIFE, DAWN, love living in Northern California, the two decided to be adventurous and reach the world from a different center. They both travel for their jobs, and have children living in different parts of the country. The two made their plans and packed up for a home on Lake Pistakee, but while driving through Wyoming with the moving van behind them, the news came that their offer fell through. 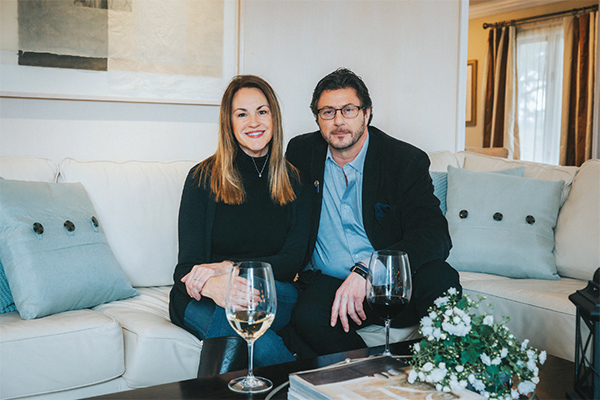 After a few phone calls with a real estate contact, they connected with Alana and Jack Kraft, whose famous waterfall house on the Fox River in Port Barrington became available to rent. They met the hospitable and welcoming Krafts and decided to stay for a while. After all, Barrington is close to a major airport and Dawn was traveling back to her position as COO of a hospital group in California for a while after the move, and Gillett’s itinerary includes visiting other countries and a corporate office in Lafayette, Calif. The couple now owns a property here, and they call Barrington “home”. Gillett started school in New York at Cayuga College, yet he was interested in an international business degree and Paris was the answer. He completed his International Business degree at The American University in Paris, which gave him a greater perspective. “We went to school with students from 27 different countries—Pakistan, Sweden, Iran, England, Denmark—and when we’d put a team together, the experience of differing perspectives changes the way you think,” Gillett recalls. After college, doing something international was a goal, and currency trading became his first career field. Life in the fast lane on Wall Street offered perks, like drinking expensive wine in New York. The currency trading job lasted for about three years, and Gillett thought about the wine industry. Knowing that the New York wine business wasn’t big enough, he headed to Northern California where he got a break with a wonderful company and his wine career began. Gillett has held varying management and senior management positions for Cannon Wines, E & J Gallo Winery, The Dominion Wine Group, and C. Mondavi & Sons. His last stop before starting his own firm—International Vines, Inc.—was president at Scott Street Imports. International Vines is Gillett’s platform for leveraging his depth of career knowledge and know-how for other vintners. 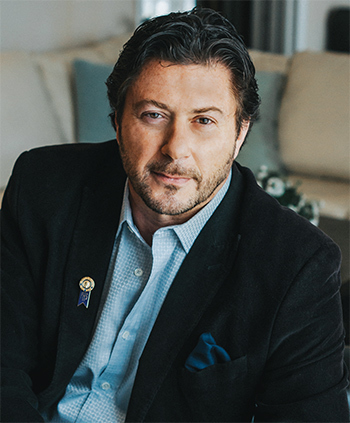 His expertise covers all aspects of a wine producer’s business—marketing, brand management, and strategic growth goals. He has launched more than 15 new wine brands, and helps vineyard owners create a vision, or re-brand when needed. The process to take a wine to market must cover every step from packaging, distribution, finance, product packaging, compliance, to fulfillment. Dawn and Gillett Johnson met while serving on a board of directors in Northern California for a nonprofit that helped people with physical and mental disabilities live independently. The two have French connections that they appreciate about each other. Dawn was born, and raised as a young girl, in France as her parents were stationed in the country. On a recent trip to France, she and Gillett met up with Gillett’s daughter, who is attending school there, and the three went to Dawn’s childhood home. Gillett attended The American University in Paris. His favorite wines come from the Rhône Valley. When Gillett found one of his partnerships in the Marlborough region of New Zealand, the vineyard had recently been started in 2003 by brothers Ed and Simon Barker. Simon’s wife, Vanessa, is a viticulturalist with 20 years of regional wine growing knowledge who manages their vineyard, as well as some adjacent ones. “I can spot people and potential early on,” Gillett said. Soon, he became a one-third partner with the brothers. The winemaking team is proud to have achieved sustainable status, a rigorous certification in New Zealand, proudly noted on the front label of their bottles. Gillett loves the business he is in, and says a good day is when everything goes right. “When we have connected all the disciplines in the business and I’ve made good consumer, financial, and creative decisions. Seeing our partners enthusiasm is a good day. And when a consumer says they like our wines we are flattered and always will be,” he said. To learn more visit www.internationalvines.wine. 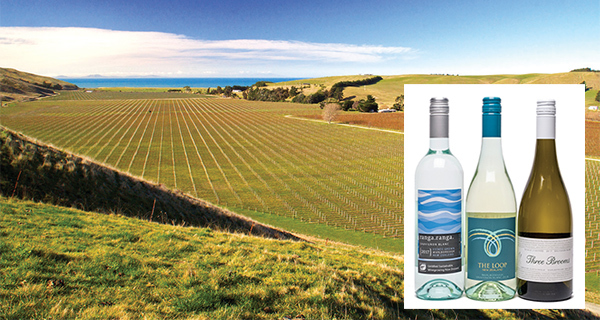 These Sauvignon Blancs are crafted by using grapes from the winery’s Maritai vineyard in Blind River, Marlborough. The original vision was to plant grapes on land that would produce wines that stand out from the crowd. The wines are rich with complex flavors of honeydew melon, orchard fruits, tropical fruits, lemon grass, fine minerality, and ripe citrus flavors, with no aspect overpowering the others. Attaining this level of layers and flavor in the wine is truly a testament to artful winemaking and dedication to creating wines of distinction. So you think you know Marlborough Sauvignon Blanc? Calçada Vinho Verde, LAGO Vinho Verde, LAGO Douro Valley Red Blend, Calçada Rose. 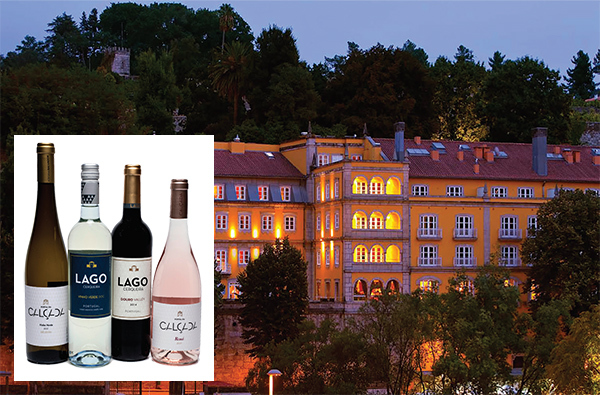 Coming from one of the oldest and most prestigious wineries in the Vinho Verde and Douro Valley regions of Portugal, Calcada Wine Estates has long-produced wines that reflect the highest quality standards. Calcada Vinho Verdes break all the expectations that the inexpensive Vinho Verde’s have created. The “Super Verdes” come from the cutting-edge winemakers in the region that understand the depth of flavors that come from these fabled vineyards. LAGO Red blend invites you to expect all the round, supple, rich flavors found in California’s finest regions, then adds the additional lush edginess that is unmistakably European all for around $10. Calcada Rose is simply a stunning example of what Rose can deliver. 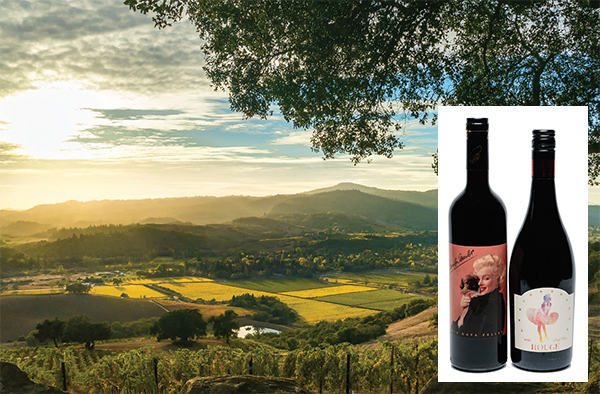 With the 2015 vintage, Marilyn Wines is celebrating its 33rd anniversary. The wines have been revered for all this time for their exclusive labels, Napa Valley Vineyard sources, and representing Marilyn Monroe, one of the most recognized icons for generations. These iconic wines are made from some of the finest vineyards in Napa, Paso Robles, and North Coast of California by Bob Pepi, who represents his family’s winemaking legacy with several wines including his own. These wines offer elegance, ageability, and a playful seriousness that makes wine fun.